Inside protective packaging industry there are industry standards about defining fragility. In case your business specialises in product delivery, you may well be weighing up the merits of other ways of sending materials. Here are many of the top benefits associated with using protective packaging. Companies that provide protective packaging will be able to tailor their products for your specifications, so you only need to buy what you need. 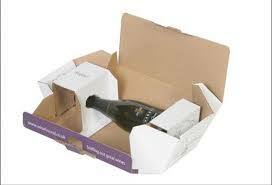 Protective packaging can benefit your company in a number of different ways, just as recycling and one tonne bags.